Preparing for the Gold Coast Commonwealth Games wasn’t only a job for competing athletes, it was also a task for the city council’s fleet management team. City of Gold Coast Council has great experience in planning for major events, including the Gold Coast 600 supercars race, the Magic Millions thoroughbred horse sales and races, and the annual influx of school-leaver party goers for what’s known as Schoolies. “We’ve been running a version of the Gold Coast 600 since 1991. We know what fencing we need, where ticket booths go and what roads to close and what sections of the roads need attention. And we know roughly what sort of crowds to expect, what city cleaning is required, we even know what pot plants to move,” said Dean Gutteridge, fleet manager at Gold Coast City Council. 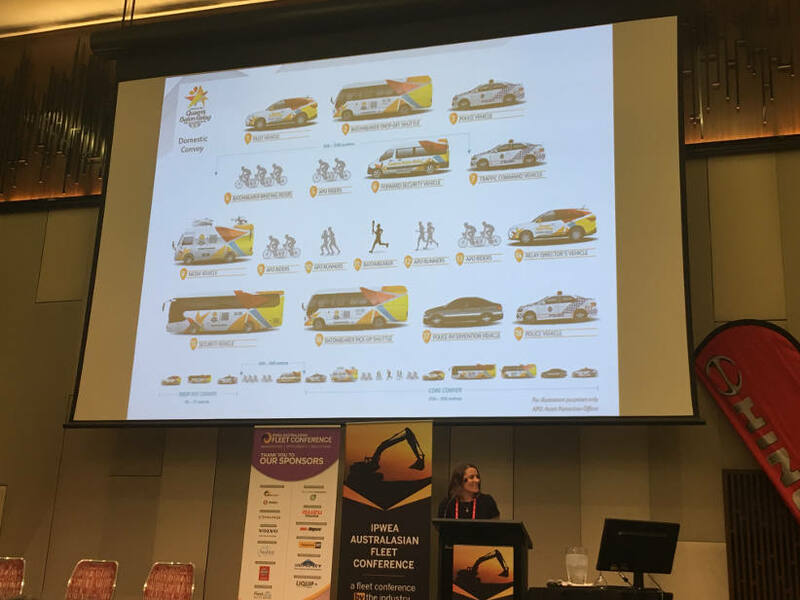 “In this particular case, this one’s unique…it’s like the three days of the GC600 every single day over 11 days of the Commonwealth Games,” said Gutteridge, speaking at the IPWEA fleet management conference on the Gold Coast on the eve of the games. Trish Apps, manager for delivery of the games for the Queensland state resort city, said some 1.5 million tickets had been sold, giving us some idea of the scope of the event. Gutteridge laid out the challenges and how he and his team managed them to delegates of the Institute of Public Works Engineering Australasia fleet management conference in late March. One challenge was that there were capital works going on all over the city to prepare venues, stadiums and accommodation. He said to manage the conflicts, the fleet management team readjusted the timing of scheduled fleet replacements, both forwards and backwards. They made new acquisitions as planned but held back the timing of disposals of used equipment and vehicles to give themselves access to additional assets. They also made extensive use of hired equipment. And stocked up more than usual on commonly used spare parts. As fleet manager he was also involved in talks with ASIO and other government departments regarding security. On staff, Gutteridge said they placed a ban on all fleet staff leave over the duration of the games. “I need to be able to field a team at a moment’s notice,” he said. They expanded on-call rosters to incude all services and every trade. They staggered start times to avoid traffic delays to and from work, they established a full-time afternoon shift and added a second breakdown truck to complement the exisiting field service unit. And of course in the spirit of preparation they adjusted all preventative maintenance schedules to bring planned maintenance forward ahead of the games. “We want to be in reactive mode,” Gutteridge said, adding, “If we’re all sitting around during the period of the games, I’m absolutely okay with that.” That will have meant that their preparation paid off.